Ko’Den loosely translated from Japanese to English means “condolence gift”. Traditionally the word relates to providing the family a “gift of food or flowers” who has recently had someone in their household pass away. 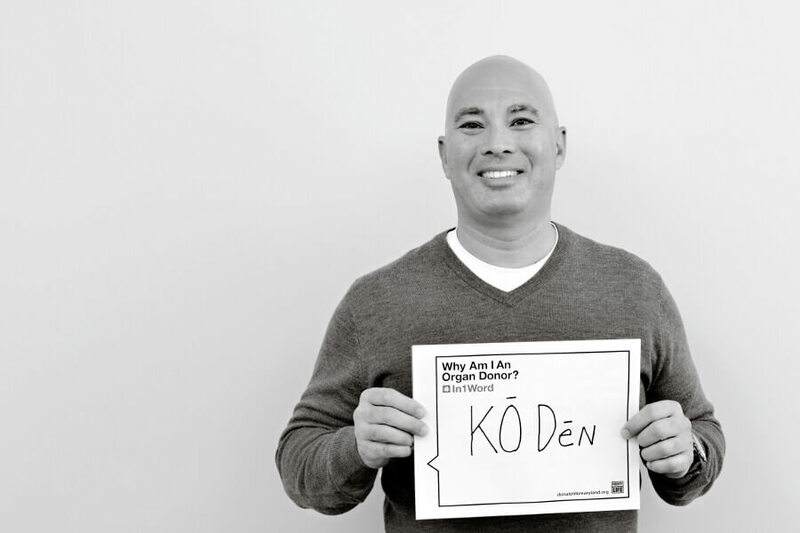 I believe that the gift can flow in both directions, that a family who donates a loved one’s organs and tissues are providing Ko’Den to recipients. In essence, a gift of life.